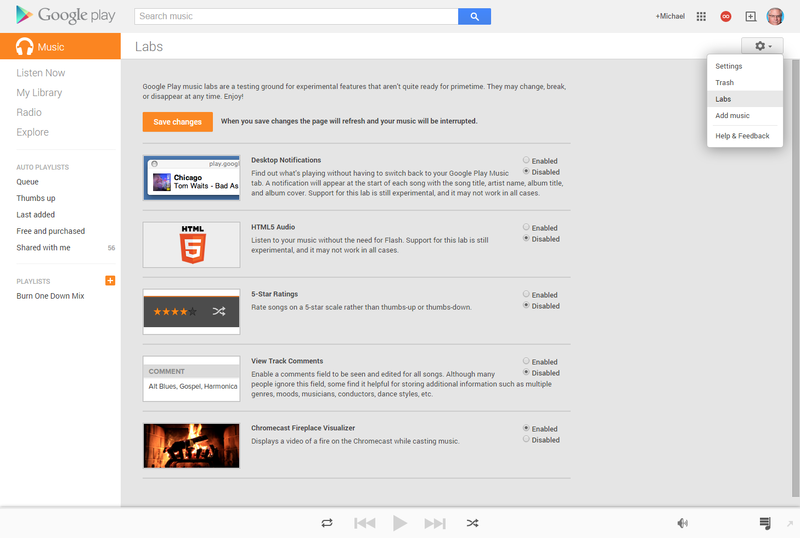 Play music from your own library or from Google Play's catalog through your Chromecast. 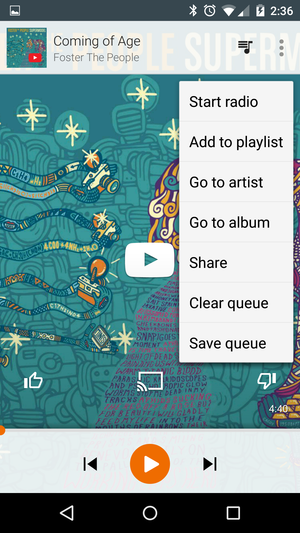 Connect your Play Music app to the Chromecast to get the party started. 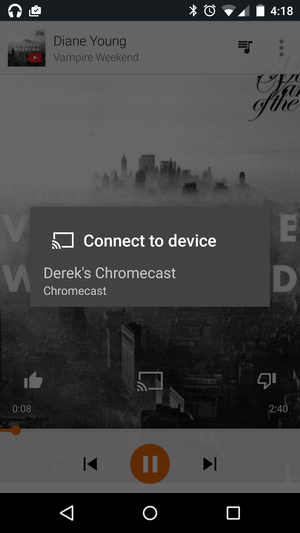 Tap the Google cast icon and music will start playing through your TV or A/V receiver within a few moments. How quickly this happens depends on the quality of your Internet connection, but it shouldn’t take longer than 30 seconds. If there's a TV in the signal path, it will display a floating version of the album cover, with a horizontal message listing the artist and track title. You can use your phone as a remote control to flip through the songs if the crowd isn't hip to what’s playing. Google’s music app follows the company’s Material Design visual aesthetic, which places emphasis on large visuals, animation, and rendering the user interface elements easy to find and pleasant to look at. After Google acquired Songza, it added one of that app's best features to its Play Music All Access service: curated playlists. Choose a relevant activity or situation, such as “taking an autumn stroll,” “having friends over,” or “brand new music” and Play Music will play songs that match that context or mood. Choose the New Year's Eve mood you want to set and Google Play Music All Access will take care of the rest. These change up based on the time of day or for specific events—there was a catalog of spooky themes during Halloween, for example. 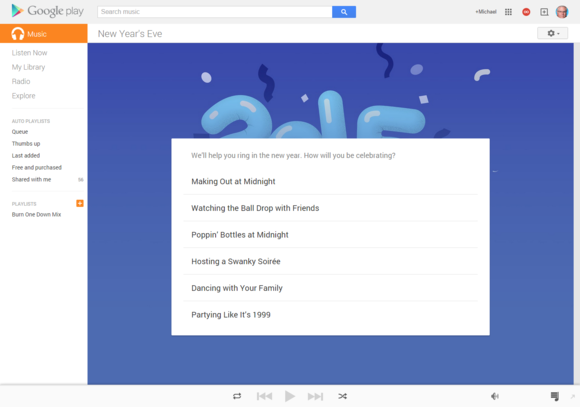 So it's no surprise that a whole collection of tunes is already available for celebrating New Year's Eve. It’s a perfect way to pick something that will please the most people in your party. If you hit a dud, open the Play Music app on your phone and skip it with the press of a button. The Google Play browser app is even easier to use than the mobile version. 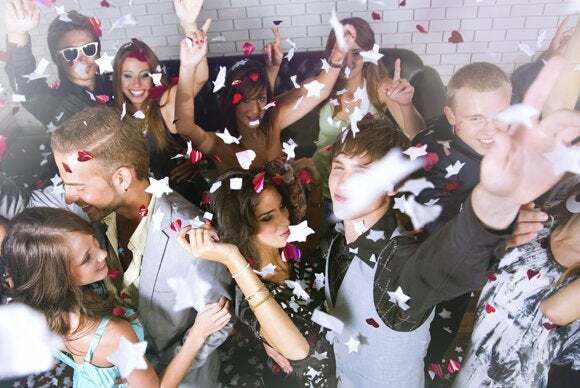 If you're sure your musical taste will mesh with that of your guests, you can just hit the “I’m feeling lucky button” and throw your phone back in your pocket. Or you could get fancy and use a voice command: Just say, “Okay, Google, play music” and Google Play will fire up songs based on your preferences. You can instantly create a new radio station based on any artist or a specific song. If you’re wearing an Android Wear watch, you can use that to control the music. Swipe down until you get to the Play Music card, and then swipe right to call up the arrow buttons. Use these to cycle through songs or pause the music when it's time to count down the final seconds of the year. Cheers!